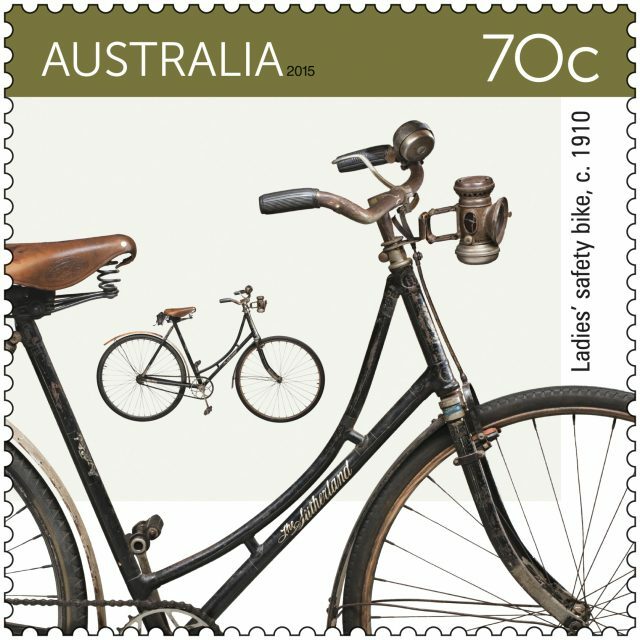 Australia Post celebrates cycling and the history of bicycle design with a new stamp issue showcasing four Australian-made bikes from across the decades including the iconic Bassett & Co. penny-farthing, vintage safety bikes by Sutherland and Finlay Bros, and a contemporary road bike from Baum Cycles. 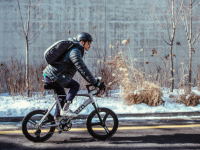 Since the bicycle’s introduction into Australia, in the second half of the 19th century, it has steadily gained popularity among many different cycling enthusiasts and communities. 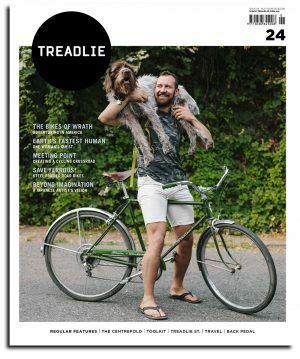 Today around 55 per cent of Australian households own at least one bike in working order, and-urban cycling is on the rise with help from bicycle events like Tour de France that draw a world-wide TV audience of arm-chair cyclists.  The penny-farthing was first made in the early 1870s in Europe, superseding the aptly named “boneshaker”. 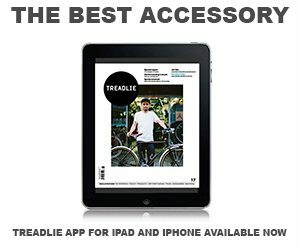 Its high front wheel allowed for greater speeds and less stress on the rider’s legs, though it was no mean feat to mount and ride. The penny-farthing shown in the stamp design was made by Melbourne company Bassett & Co. in 1888. Photo: Paul Farren/Peter Horsley.  The ladies’ safety bike shown in the 70c stamp was designed and built by Melburnian Arthur Sutherland for his wife, Marion, around 1910. The safety bike was a game- changer, first appearing in 1885. 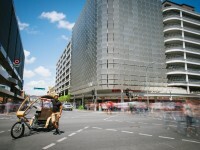 Its similar-sized wheels employed a rear-wheel chain drive, the rider’s weight was lower to the ground and, in time, the robust diamond frame became the norm. 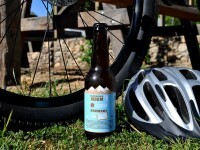 The “drop bar” opened a whole new market, making cycling more accessible to women. Photo: Katie Shanahan/National Museum of Australia. 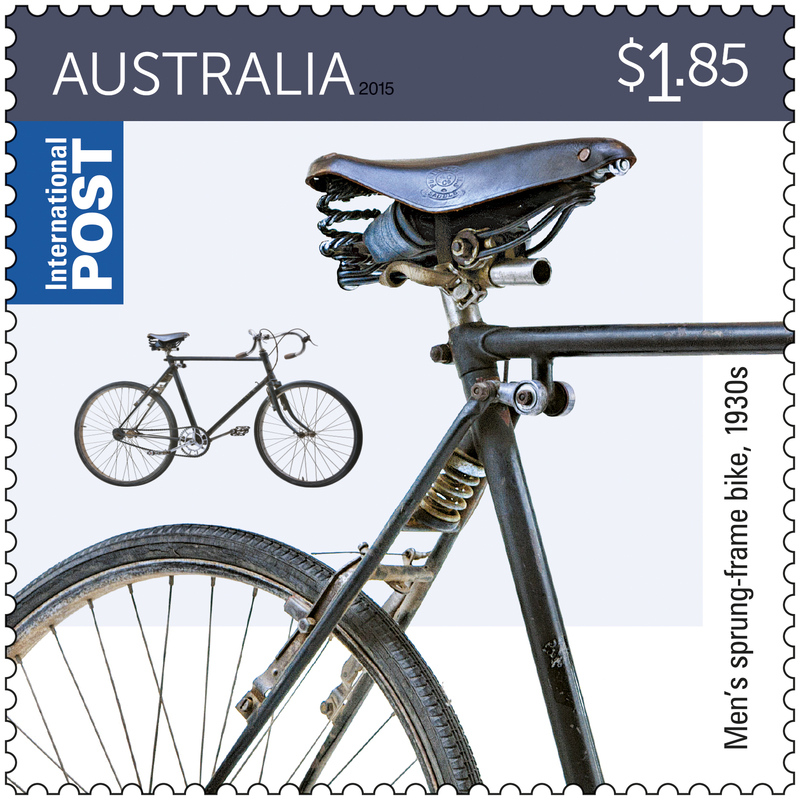  The men’s sprung-frame bike featured on the $1.85 stamp was made by Melbourne- based Finlay Bros in the 1930s. The evolution of a sprung-frame, visible above the back forks in this bike, enabled a more comfortable ride. Photo: Paul Farren/Peter Horsley.  The custom-made road bike featured in the $2.75 stamp, was made by Geelong-based Baum Cycles in 2015. The company makes bespoke high-performance machines for the biking buffs on the road. Bike designers and manufacturers continue to refine design and technology, and investigate new materials. Photo: Baum Cycles. The products associated with this stamp issue include a first day cover, stamp pack, prestige booklet, sheet of 5 x $2.75 self-adhesive stamps, booklet of 20 x 70c self-adhesive stamps, and a set of four maxicards. 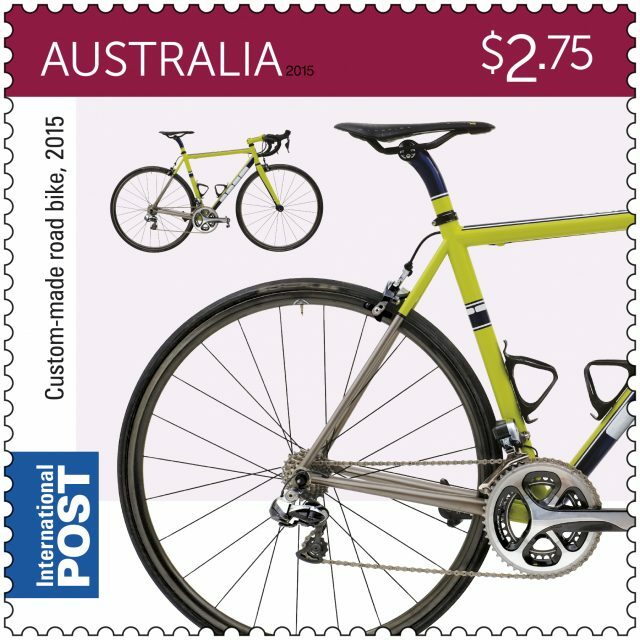 The Bicycles stamp issue is available from 13 October 2015 at participating Post Offices, via mail order on 1800 331 794 and online at auspost.com.au/stamps while stocks last.